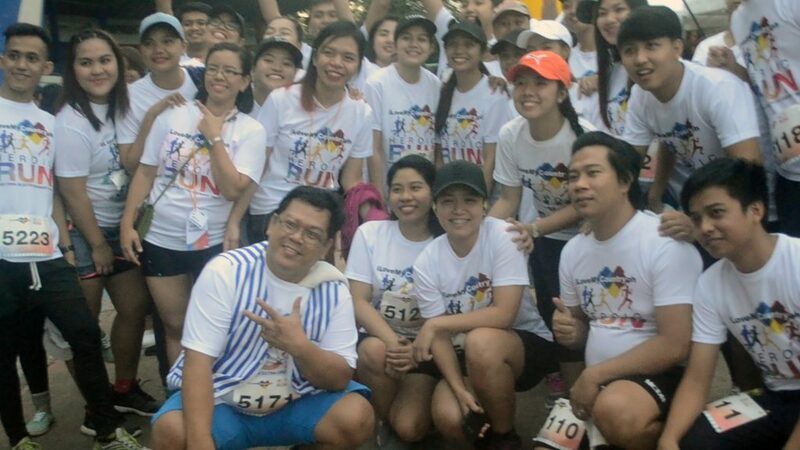 The first ever ilovemycountry.ph Heroic Run 2018 was held lastNovember 10, 2018 at the Amoranto Sports Complex in Quezon City. This activity aims to promote social awareness to all Filipino’s to love our country more so that the Philippines will be great again. Out of 440 registered runners, 426 participated in the actual run. The program started with a prayer followed by the National Anthem and s short message from the founders of ilovemycountry.ph(Neil and Alina Sison). The program also includes a Zumba dance leaded by Dadas Litson mascot and dancers before the start of the event which serves as stretching activity. There are also raffle prizes that were given to participants of the Heroic Run. A token of appreciation was also given to the finishers of the race. An arrozcaldo for breakfast was served during the event courtesy of DADAS Liston as one of the sponsors. Part of the program was to place a commitment of pledge of doing a small act of kindness and something extraordinary and heroic for the country. This commitment note will be posted everyday to the social media account of ilovemycountry.ph to remind us of doing something big or small that will contribute to the betterment of the society and our country as a whole. The Heroic Run will become an annual event of ilovemycountry.ph to continuously spread awareness to all Filipinos around the world. Magsimula sa maliit na bagay upang magtagumpay.